Is it better for organizations to be more like a natural (wild) garden or an orchestra? One of these models is not better than the other—they reflect different purposes. A natural garden has beauty, freedom of expression, and individuality that cannot be reproduced in any other way. On the other hand, an orchestra is almost an extreme opposite. Musicians in the orchestra have submitted themselves to rigorous lifelong disciplines of mastering an instrument. An organization can reflect the garden’s individuality or the orchestra’s precision. One challenge for building a great organization is having enough structure in a well-defined mission, vision, and strategy to attract people who want to “join the orchestra” and develop enough discipline within a collaborative framework for people to work together toward common goals WITHOUT stifling the individuality and creativity of human potential. After forty years of working in, for and with many organizations it appears the ones that continue to be effective as they grow view their organization as a collection of small teams that collaborate effectively. These teams may be a functional group (like the sales team). They form a “natural” group that has shared goals and the expertise required to meet those goals. There are other types of teams that are “cross-functional” that involve people from several departments such as those driving large change initiatives, or those assembled to execute projects. There is also a senior leadership team, which defines the score of music to be played by the organization as a whole. However, there is one other requirement that is so important that it is worth identifying separately: TRUST. Teams cannot function well if team members cannot depend on each other to know their responsibilities and to fulfill them. If a team member doesn’t have the ability (competence and character) to develop and deliver a plan it affects the entire team. Delays occur, work is reassigned, error levels go up, and dissatisfaction increases. An individual that takes responsibility to understand the purpose of the organization, department or project they are working within and how their individual purpose fits in with that is a valuable asset. They are proactive about figuring this out, and they don’t blame others for lack of clarity. They ask questions until they gain understanding. Delivering on what you promise—that’s integrity. Having the character and competence to define requirements (a problem or responsibility) well means knowing your own capabilities well enough to estimate effort and schedule and know when you need help. It means “taking ownership” or responsibility so that others don’t have to focus on that particular deliverable. It is not enough for an individual to deliver their own results – they have to have accountability and transparency to enable others to be self-leaders as well. This means communicating early and often, spotting problems early, and displaying an attitude that builds teamwork. 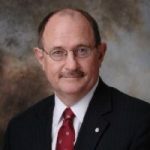 Gary Harpst is a business strategist, coach, and recognized thought-leader on small business management, leadership, and strategy execution. He has authored two award-winning books on managing small businesses as well as numerous articles and columns. Gary is a successful entrepreneur, he co-founded and served as CEO of Solomon Software—now Microsoft Dynamics and founded Six Disciplines, a business coaching firm that equips leaders to engage people in shared purpose to improve performance and drive growth. Gary is also a dynamic teacher and insightful keynote speaker who challenges and motivates his audiences. He can be reached at gharpst@SixDisciplines.Com.